He was the dissenter in Heller II. In my judgment, both D.C.’s ban on semi-automatic rifles and its gun registration requirement are unconstitutional under Heller. Getting protections on semi-automatic rifles would be just what the doctor ordered for states like New Jersey, California and New York. Semi-auto bans are culture killers. No state has ever passed one and come back from it. Kavanaugh’s approach to the Second Amendment is far better than what we’ve typically seen in lower courts. Several years ago I even suggested that there should be some scholarship published around his approach to help refine it. There was a lot of speculation that Trump was going to pick Amy Barrett, who would have greatly pleased the SoCo culture warriors, but she would have been an unknown quantity on the Second Amendment. From my point of view, he couldn’t have done much better than Brett Kavanaugh. I know what I’m getting: a judge who’s willing to toss assault weapons bans and gun registration. While I agree and like that as a dissent, I would very much prefer to see something like that in a ruling. You can write anything you want in a dissent knowing it has no force of law–another thing entirely to put it into something that does. Basically it’s easy to do that when there’s nothing riding on it. Show me proof that counts. Every judge hopes his dissent will become opinion at some point. I don’t think it’s something they take lightly. In that case we’re WAY overdue for Kozinski’s dissent in Silveira v Lockyer to become an opinion. If Hillary had won (and Kennedy still retired), we’d be looking at a 6-3 anti-gun majority on the court. Since Breyer and Ginsburg would likely retire under a Clinton White House, all 6 in the liberal majority would be young. And we’d all be praying for Clarence Thomas’ health, lest it become 7-2. We all expected 2016 to have massive SCOTUS ramifications. We were right. Looking back at the Garland Gambit and Trump’s unlikely victory, its like we bet the farm on a long-shot and against all odds, won. And not to be minimized are lower Federal Court appointments too. Look at all the damage to Gun Rights those lower Courts have wrought over the decades of Supreme Court silence. Even after DC v Heller, even after McDonald v Chicago. Thanks for the info Sebastian. 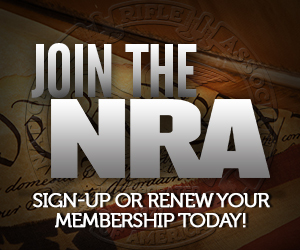 Your steadfast fairness and diligence is why your blog is my favorite place to keep up on Gun Rights. In the quoted excerpt, he comes to the right conclusion on semi-autos, but his rationale on full-autos is sketchy at best. “Since 1986” equals “traditionally banned”? Wow. That seems a little fast-and-loose with the facts, even if his comment was parenthetical. Plus, he’s a Yalie and a Bush associate. We could’ve done better (and I’m not suggesting Barrett). You’ll be hard pressed to find anyone on the federal judiciary who is going to endorse machine guns as protected arms. Maybe you’d get Thomas to vote that way. Maybe. But machine guns will require a cultural change. If that’s ever fixed, it will have to come from legislatures before the courts get involved. Barrett was my first choice. I’ll take Kavanaugh. Yes, I’m of the mind that the legislative option for full auto would be best. I don’t see any name on Trump’s list that I would have entrusted with MG rights. The key here is to flip anti-gun states by getting rid of AWBs and other barriers to legal gun ownership. Once that’s done, culturally, we would be closer to protecting all or most classes of weapons that are not crew served. Let’s get there first. There was a media outlet that basically reported some leaked information mentioning that Barrett was the no. 2 pick. I was under the impression that Kavanaugh was #2 pick to Gorsuch; so there may be an order of priority that we don’t know about. The only way to get MGs back is to first deregulate suppressors. Then, when people are tired of having a 16″ barrel and an ungainly suppressor on top of it, that provides a wedge to unregulate SBRs. If we do SBRs and the sky doesn’t fall, we might as well get SBSs too. Having done those two, maybe we could then loosen (at least at first) the MG ban to a serious MG regulation. Maybe, someday, that will end up with MGs just being just like any other gun. That’s our endgame just like their endgame is a ban on nerf guns. I don’t expect to ever achieve it but I see no reason not to push down that path as far as we can. Heck, we could get SBRs and SBSs by pointing out the “not technically one honest” ones being sold right now as “pistols with a brace” … and how they never cause any problems. By then we’ll have to fight California and New Jersey over bans on phased plasma rifles in the 40 MW range. Hey just what you see on the wall Pal. Frankly, it’s my opinion that we could make tremendous progress on MGs entirely administratively. * The modification to Federal law that was made to allow the transfer and sale of surplus 1911 pistols changed the law from “rifles” to “firearms.” Pretty much all military small arms meet the definition of “firearm” ergo they should all be transferable to the CMP. * The historic “loans” of M14 rifles through the DCM/CMP would seem to be a valid precedent. Second, 922(o)(2)(A) is so vague that you can drive a truck through it. The BATFE could easily decide that “under the authority of, the United States or any department or agency thereof” means “BATFE has issued an approved registration document to the possessor” or any of a dozen different things. Sure, it hasn’t been interpreted this way by the courts, but that’s because the BATFE chooses to interpret it otherwise and the courts have a long history of showing extreme deference to Federal agencies. Third, Section 207 of the GCA of 1968 is, as far as I know, still valid law; It is my belief that it’s language telegraphs the intent for periodic amnesties written so that no other law can stop them. TLDR: A significant component to the courts justifying the continued prohibitions on MGs in the wake of Heller comes from their relative rarity; The above are three ways that correctly-positioned individuals in the federal bureaucracy could choose to interpret federal law that would drastically increase the number of transferable MGs in circulation, thus significantly weakening the bad argument that Scalia made against MGs in Heller. The NFA’s heavy regulation is close enough to a ban on common ownership to meet the Heller logic, I think. (They’re not “banned” under the Hughes Amendment, either. Agreed. I’d expect the court to understand the circular nature of claiming they’re “not in common use” when the ban helped ensure that was the case. Also, the fact that, as you said, that they’re not actually banned from ownership, but are instead banned from ownership of those made after a certain date, damages the argument that they’re so exceptionally dangerous that no civilian should have one. Those are the kinds of pretzel twists the court loves to needle lawyers on. Given that there were no electronic systems around in 1986, an argument could be made that we’re in a better technical position to police a re-opened Registry today. A big step in winning that cultural battle is protecting semi-autos. This *should* be a step towards that. Without actual bans, the antis have very little to fall back on. They bet heavily on AWBs for the last 30 years. That’s been their main investment. They have UBCs and “Red Flag” laws, but neither of them really gets them where they need to be, and the “Red Flag” laws are especially subject to lawsuit and Due Process claims. Given their whole point is to ban entire classes or arms, I’m really not sure what’s left for them if they lose their 30-year investment in AWBs. The other hill they will die on is may issue carry. Agreed, that would be another path for them. But that path focuses on *gun owners*, and not objects, so it’s harder to get away with demonizing them when it comes to Moderates. Also, given the Obergefell ruling, that can be used to effectively counter their hyperbole, if done right. Either way, the current status is essentially what they want; No National Reciprocity. It’s hard to gin up support for something that’s already status quo, as opposed to actively seeking to change or undo something. And I’m not sure it’s an issue that will get middle-of-the-road people all ginned up. Actually, carry is the bigger issue for the bad states. The reason that we’ve been seeing so much increasing stratification in state-level gun laws over the last 20-40 years is an effect of carry laws; Shall-issue carry is the gateway drug to permissive gun laws. Make carry impossible, and continually make gun ownership more of an expensive hassle, and nobody will want to bother. Lather, rinse, repeat. On the other hand, if carry is practical and gun laws are generally permissive, people will be far more inclined to exercise their rights, which acts as a vaccination against anti-gun arguments. Once you reach a certain point, society starts shifting towards gun rights with increasing speed. TLDR: AWBs are bad, but they’re mostly a symptom. The cure is to make it practical for the average person to bear arms in public for self-defense. I wish the Senate would hold a vote on the current Reciprocity bill. Even if it fails of cloture, it’ll demonstrate that we have a majority in the Senate as well as the House, and that forcing reciprocity, and more importantly, shall-issue via the failure to exclude non-resident permits. Seconded. May Issue is key to denormalizing the idea that “the proles” can have guns for self defense. DC circuit and 7th Circuit forced shall issue on the basis of McDonald and SCOTUS hasn’t spoken on it yet. There will be likely now a 4th vote for cert to take a “bear arms” case at SCOTUS, and then Roberts will be forked. A return to “Saturday Night/Suicide Specials”? To make an analogy, I can imagine that even with a “Roe v. Wade” magnitude pro-gun SCOTUS decision, the right could still be picked apart piecemeal to close to non-existence in practical terms. “You have the right; but no one has the right to deliver it to you.” Meanwhile (continuing the analogy) they may wait decades until their chance to pack the SCOTUS comes along. Remember that the culture is evolving, and kids who fifty years ago would have been knocking around the woods with .22s today have their faces buried in video screens. Don’t expect the end of history, any time soon. Arguably they’ll always have their most important precedent in the MG ban; there is their “class of arms” right there. Also: The whole school/mass shooting thing needs to be solved some way, or don’t expect AWBs to just wither away. Don’t expect their “statistical” rarity to impress many people not seeking to be impressed. Last in this string of pessimism/realism, if we arrive at say a “constitutional crisis”, where even small-scale factional shooting breaks out, anything could happen. Even conservatives might get on board gun controls for the right people, if they encountered leftists shooting back. I’m not sure going back to “Saturday Night Specials” gets them anything. That just puts it back into handgun territory, which runs afoul of Heller, et al. The Full-Auto ban doesn’t get them much, since they’ve spent so much time trying to confuse people with “Assault Weapons”; most people are going to believe that they’re either protected (under a hopefully soon-to-occur SCOTUS case), or will find out that full-autos are already restricted, and wonder what the antis are going on about. It’s funny you mention the kids being into video games. It seems as though that may be partly responsible for the increase in interest in AR-style rifles, and could be a path to actively exploit in getting new shooters involved. You did touch on a big possible threat, which I think is very likely to happen, and that is a continuation of the efforts we’ve seen by the antis with regards to Heller ongoing applied to rifles, whereby they attempt to craft the most restrictive ownership requirements possible that skirt just within SCOTUS rulings. I hope SCOTUS gets wise to this and shuts it down. Kavanaugh seems to understand it, as do Alito and Thomas. The mass shooter issue is troubling, but I’m not sure there’s anything that can be done. It’s awfully inconvenient for the antis when non-ARs are used, such as happened recently. I think that may end up pushing us closer to more armed teachers or ROs than anything else. I don’t know. That would certainly deserve a “study” or something. My totally amateur observation is that kids don’t seem to translate video action into any other “real” action; for example, going outside and reenacting what they’ve been doing on the screen. It is like the screen is an end in itself. Several people have complained to me that their kids are in fact physically weak from being very sedentary, thanks to video games. By contrast, I spent a good deal of time when I was a kid, reenacting what I had read about in books. Books if anything were more sedentary than video games, but we kids translated their ideas into physical action. I have no idea at all how that translates, with guns these days. As a circuit court judge, he’s bound to follow SCOTUS precedent on this issue, which he is exactly what he was doing in the quoted snippet of dissent. On the other hand, as a member of SCOTUS he wouldn’t be bound to uphold that precedent. Frankly, I don’t find that snippet to be particularly convincing proof of true RKBA bonafides.